Ukrainian Oligarchs « 1UA1 – Energy. Business. Ukraine. Bearer of the "youngest Ukrainian billionaire" title with an estimated $969.8 million of personal wealth. Owner of the Ferrexpo Plc,which became listed on the London Stock exchange in 2007. Pryvat Group’s Igor Kolomoyskyy and Henadiy Boholyubov also have small shareholdings in Ferrexpo. 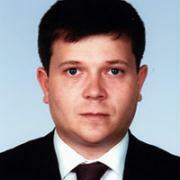 Mr Zhevaho also co-owns "Finansy i Kredit" group. 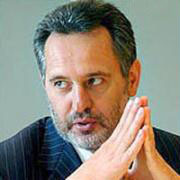 One of the richest men in Ukraine with an estimated personal wealth of $2,294 billion. 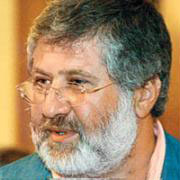 Main co-owner of Pryvat Group,which controls UkrNafta and Pryvat Bank and is one of the most influential groups in Ukraine. Putting an exact figure on one of Ukraine’s richest men is difficult mainly due to an ongoing lawsuit concerned with 11 billion cubic metres of gas confiscated from RosUkrEnergo by the Ukrainian government. However,his personal wealth is estimated at $626.7 million. Co-owner of RosUkrEnergo which in co-operation with Russian Gazprom controlled transit of Russian and Middle Asian gas through Ukraine to Central Europe.